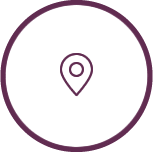 We encourage you to contact us for a firsthand experience in our Kingston practice. It’s easy to get started. Fill out the form below to email us with your questions or concerns. We appreciate the opportunity to field questions, clear up concerns and put prospective practice members at ease before their first visit. You do not need a referral to begin care at Irrefutable Health. Our friendly, knowledgeable staff can field your questions over the telephone. If you want to explore a concern more privately, just ask. Contact Irrefutable Health today. Arrange a private consultation and use this time to describe your health issue and share your goals with us. This visit is helpful in determining if you’re likely to be a good candidate for care at Irrefutable Health.